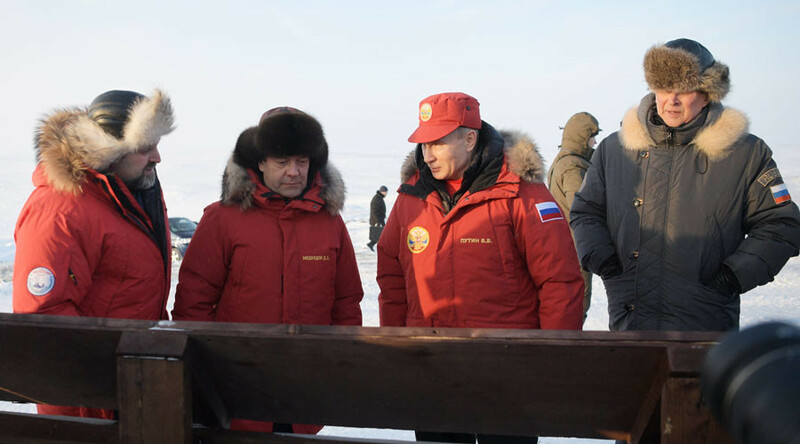 The Russian president is touring Franz Josef Land, a desolate archipelago in the Arctic Ocean, to inspect the environmental cleanup effort conducted there. A day later he is to take part in an international conference on Arctic development hosted by Russia. Vladimir Putin landed on Wednesday on Alexandra Land, the westernmost island of the archipelago, lying some 1,000km north of mainland Russia near the Barents Sea. He is touring the desolate part of the country to inspect the progress in cleaning up waste left behind by Soviet expeditions and military deployments in the past. 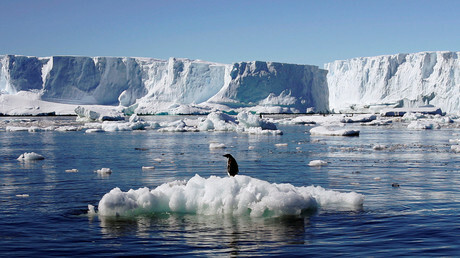 Franz Josef Land was chosen for the cleanup in 2010 as a pilot project of a larger Russian effort to reverse environmental damage in the Arctic region. Estimates said there were some 90,000 tons of broken equipment, used supply containers, old fuel and other products of human presence scattered across the group’s almost 200 islands. Alexandra Land currently hosts a meteorological station, a small airfield and a military radar station. The Defense Ministry is investing into a larger installation on the island, which would include a larger and more technologically-advanced airfield, where fighter jets and tanker planes would be deployed. The visit coincides with the opening of an international forum on Arctic development, which is taking place in Arkhangelsk. Putin is to arrive in the northern city to take part in the second day of the two-day event on Thursday. Over 2,400 delegates are taking part in the high-profile gathering, which is focusing on the prospects of developing the inhospitable region. Russia sees great potential in the Arctic and wishes to join forces with other nations to tap its resources in a responsible and peaceful way. 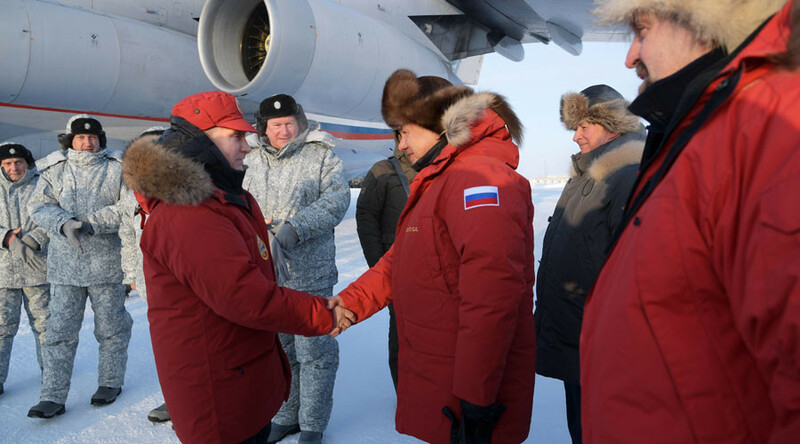 “Through focusing our efforts, sharing our experience, knowledge and technology, we can turn the Arctic from the far corner of Earth into a land drawing in people to live in and work in,” Russian Deputy Prime Minister Dmitry Rogozin said Tuesday in an opening speech. “Preserving a sensible balance in exploration and development is a global challenge, because the Arctic is a territory of dialogue of wise, component and responsible people, who have a vision of the Arctic that we would pass on to our children,” he added. The Arctic is estimated to be rich in mineral resources, particularly hydrocarbons, but the fragile environment and harsh climate make their exploration challenging. The situation is expected to change as global warming and technological advances make the region more accessible and hospitable. There are also vast biological resources in Arctic. And the marine path along Russia would eventually become a faster option for ship traffic between Europe and Asia. Moscow seeks to protect its interests in Arctic by preparing its military for potential conflict for the region’s riches, as outlined in its military doctrine.